Power efficiency remains important to PC users and Intel and AMD have both made great strides to improve power efficiencies. Today we are looking at the Intel Core i7-3770K with a TDP of 77W, the Core i7-4770K at 84W, the Core i7-4970K at 88 Watts and the Pentium G3258 at 53 Watts. 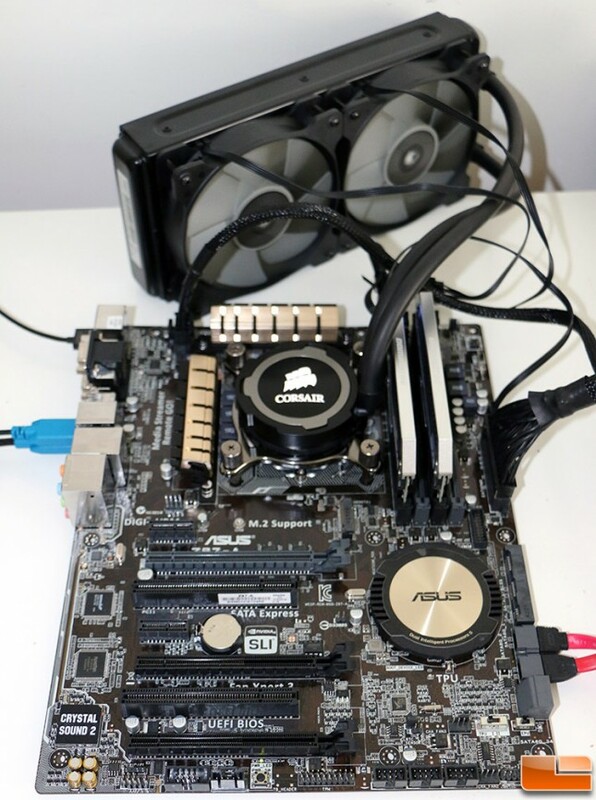 Benchmark Results: The Intel Pentium G3258 Processor is said to be a 53W TDP processor and we were happy to find at idle the entire system was pulling 31.1 Watts and the wall and when under fill load we were pulling 50.1 Watts. All that efficiency is thrown out the window with the overclock though and our idle power increased to 34.6W and at load we were now hitting 119 Watts, which is similar to a Intel Core i7-4770K Quad-Core processor with default settings. We used Handbrake to rip a full 1080P Blu-Ray as our load test, so this is representative of a real world scenario. 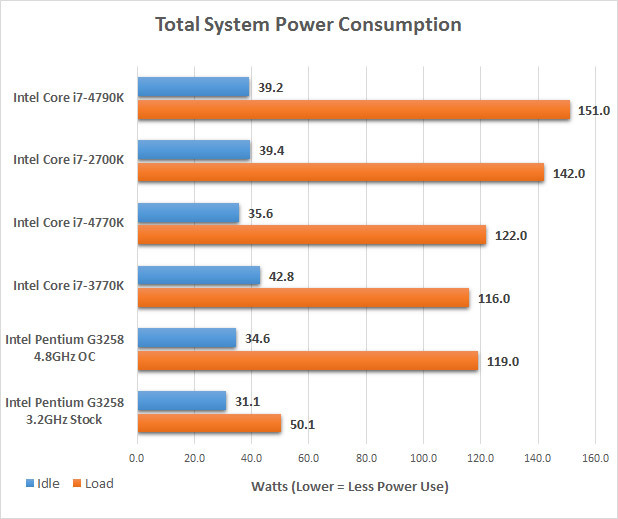 So, to get a 50% overclock and performance increase we needed to more than double the power consumption at load.